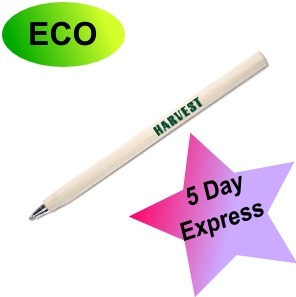 Wooden Pen - Express Corporate - Promotional Products - Delivered Fast! Wooden bio-ballpen. With silicone protection on the writing point for a longer lifetime. Laser engraving possible. Size: Ø9x142 mm.